How can we make sure that as many of the innovations as possible produced by TKI Water Technology, part of the Water Top Sector scheme, reach the (international) market? This was the central question addressed during a matchmaking event involving knowledge partners from TKI Water Technology and engineering consultants such as Witteveen & Bos, RoyalHaskoningDHV, Grontmij and Tauw. Within TKI Water Technology public and private parties conduct joint research under the coordination of knowledge partners Wetsus, Deltares, TU Delft, TNO, STOWA and KWR. 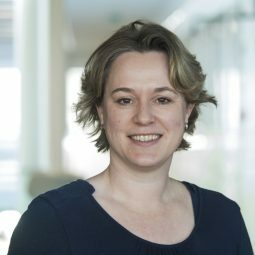 There are currently dozens of projects underway, all aimed at stimulating the economy of the Netherlands. Partnership with business is a central quest in both ongoing as well as new projects. TKI Water Technology brings together the Dutch water technology sector around the themes of knowledge and innovation. 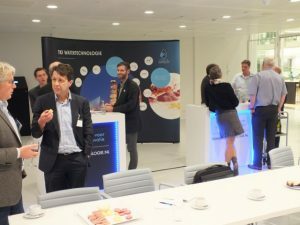 During the gathering, which was held at KWR in Nieuwegein, the participants discussed how the knowledge institutions and engineering consultancies can, via TKI Water Technology, associate their knowledge – whenever possible with SMEs – so as to create opportunities for innovation, experimental development and demo’s. Wim van Vierssen, KWR’s CEO and member of TKI Water Technology’s executive, opened the meeting by presenting the vision behind TKI Water Technology and an overview of the themes, objectives and achieved results. The different knowledge partners then presented several ‘gems’ among the TKI projects, after which the representatives of the engineering consultancies gave their vision of the international market opportunities open to the Dutch water technology sector. The session produced excellent discussions as well as commitments to a follow-up event.